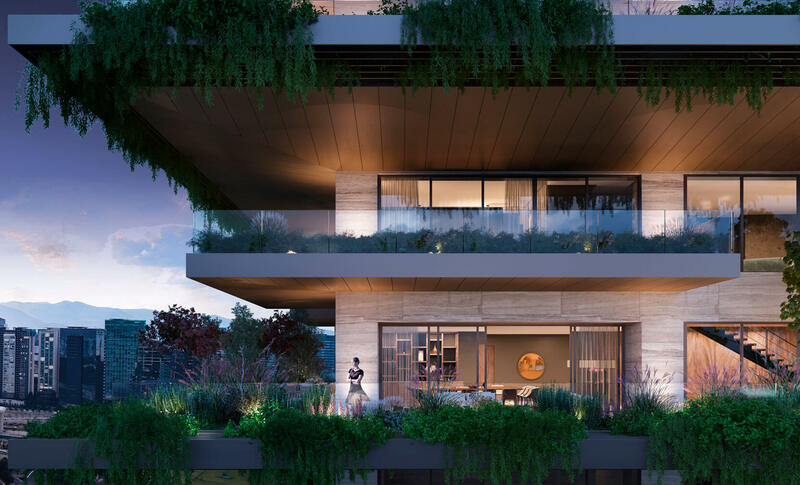 Located at the west boundary of Mexico City, the project arises in a private neighborhood surrounded by forest and handmade green areas that reflect a perfect relationship between landscape and architecture. 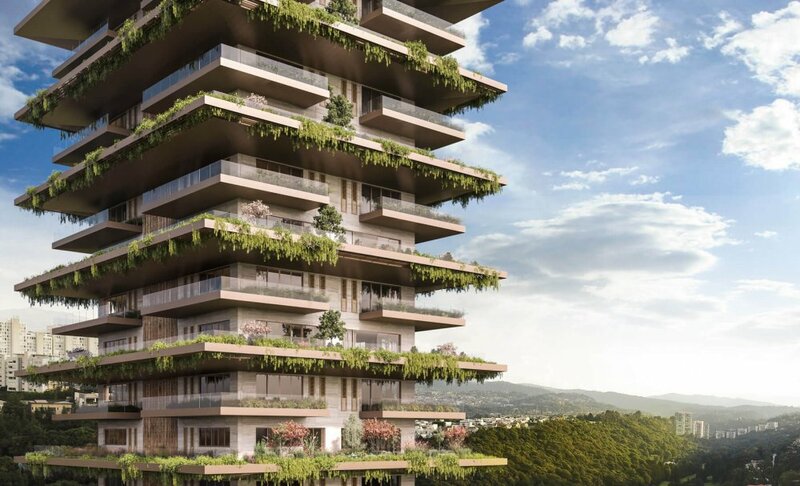 Inspired by this interaction between nature and low-rise residences, the project aim was to integrate this atmosphere into a new concept of vertical residences. Arbia Tower is a twelve housing unit complex that shares several indoor public amenities such as gym, cigar room, and multipurpose room. Each housing unit has two levels surrounded by green outer gardens with great views of the adjacent golf course and forest. 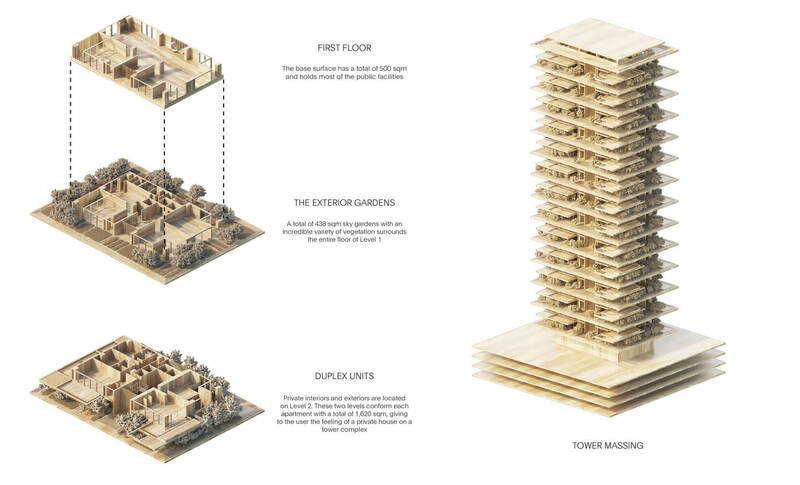 The project searches the creation of vertical housing units that combine privacy with social living, focusing on the generation of private outdoor spaces which perform similarly as urban houses on ground. 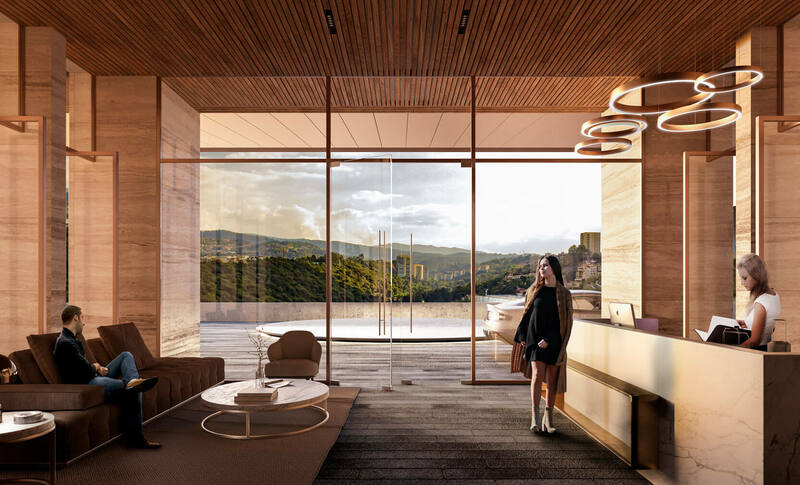 The main residential facilities (kitchen, dining room, fireplace, living room, family room, library and service rooms) are located at the first level which has a total of 500 square meters. 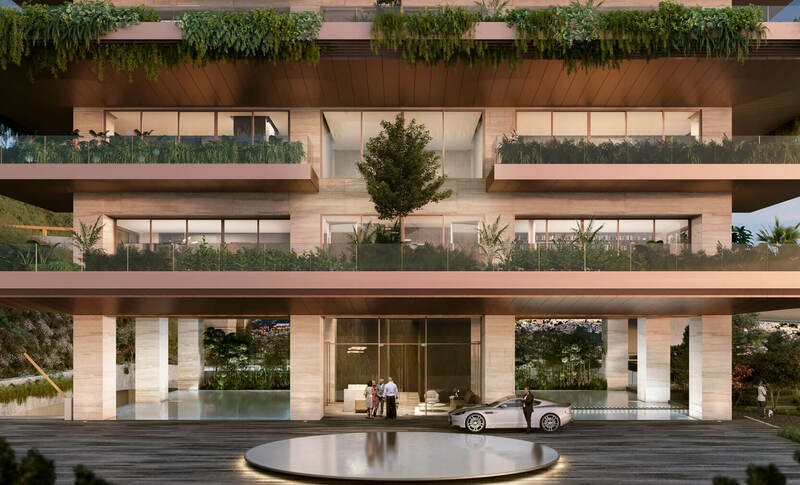 The first level comprises 438 square meters featuring sky gardens with alluring vegetation like jasmines, magnolias and multiple trees enveloping the entire floor, creating a unique indoor ambiance and outdoor experience where all family members can interact, relax and enjoy their time. 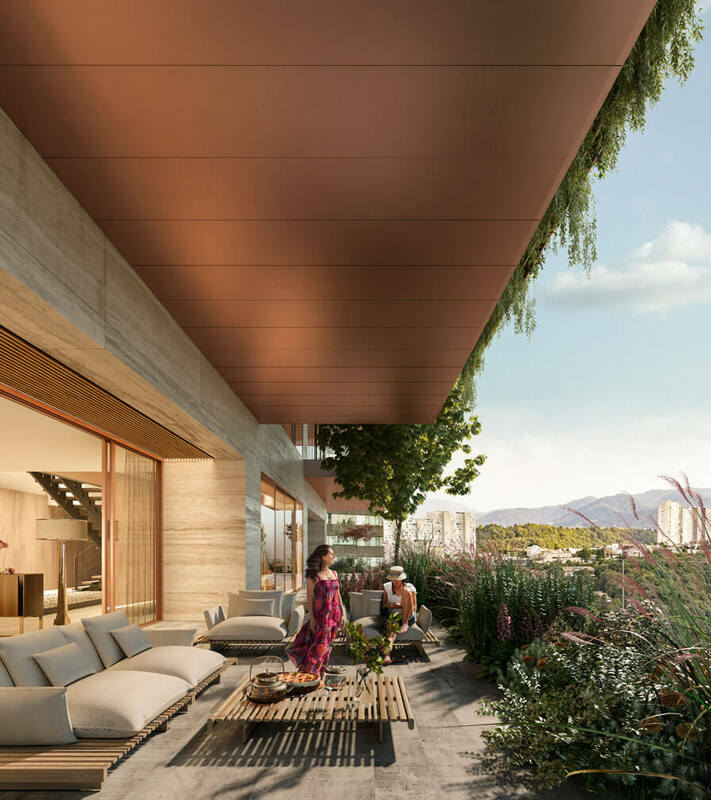 Following the common areas and access, come the private spaces located at the second level composed of 500 square meters of interiors and 180 square meters of terraces, three bedrooms, one main bedroom and the family room. Each bedroom has its own dressing room, bathroom and an outer private garden generating a great flow and transition for each user. 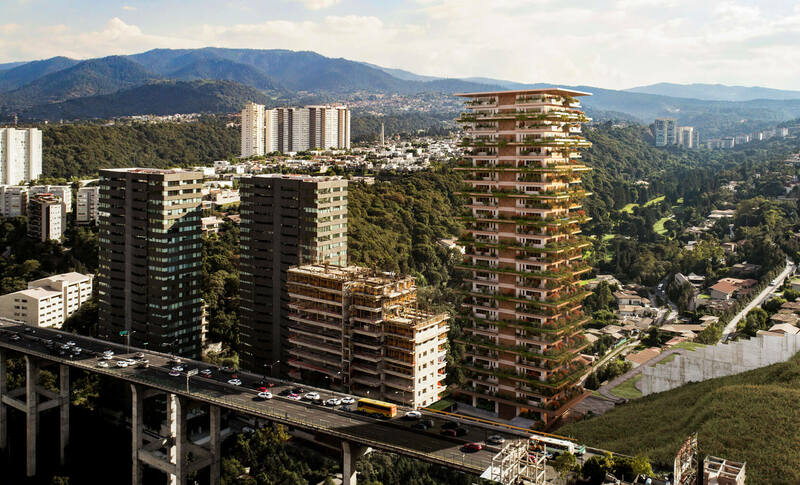 An important aspect of this project is its structural core and shell, which allows the possibility of different interior distributions as well as flexible floor plans limited only by the external private gardens. The concept of fluidity and dynamism along all the spaces represent the axis of the project and it can be interpreted as a continuous journey harmonizing both internally and externally. 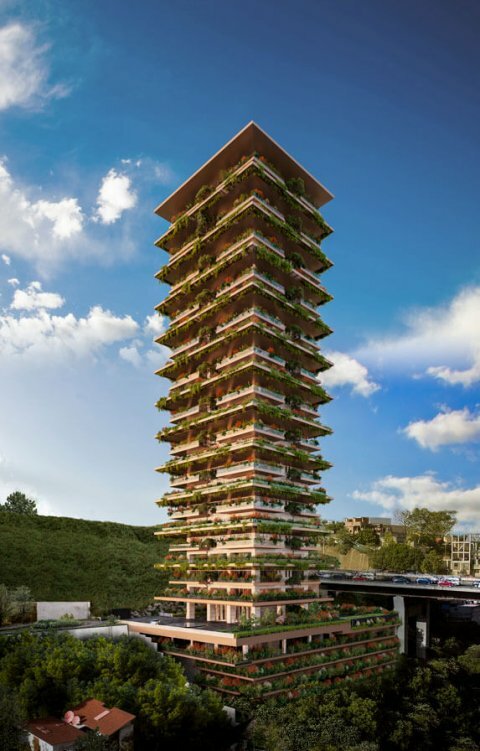 Arbia Tower is designed to be a vertical continuum of the surrounding landscape, creating a 109-meter-tall iconic tower with the presence of large sky gardens with small and medium-sized trees at each level. All of which results in an ever-changing tower with a mesmerizing look of colors according to every season. The elegant outer gardens combined with big sliding windows enhance the relationship between interior and exterior, providing a large quantity of daylight into each indoor space. Finally, the sensation of freedom and interaction is achieved with the experience of living with all the conditions of a private house by living in a tower complex.